Year listing is one of the most popular traditions in the world of birding. The annual cycle of seasons is felt especially strongly by those of us who immerse ourselves in the world of birds, and each new year brings a new set of chances to enjoy unforgettable experiences. 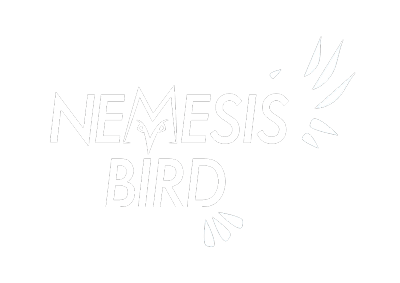 On behalf of the whole Nemesis Bird team, I’d like to extend best wishes for a healthy and happy 2019 full of avian excitement to all of our readers! May the dips be few, may the twitches be successful, and may all your birding resolutions come to fruition. Even casual birders who do not keep an annual total of the species they observe often take note of the first bird they encounter at the start of a new year. Most hope for something more glamorous than a pigeon or a starling when they first emerge after the stroke of midnight. Every list has to have a beginning, though. I made my way home from New Year’s Eve festivities shortly after the ball dropped, knowing I had a big day of birding ahead. My new year “officially” began with an alarm at 4:45 AM. A local woodlot was the first hotspot I chose to get my year list started strong. As soon as I stepped out of the car, I heard a soft, rhythmic series of toots coming from the shadowed trees. The first bird of 2019 had arrived, just after 5:20 AM: Northern Saw-whet Owl! What a way to kick things off! Riding high on the success of my predawn owling efforts, I started south towards the barrier beaches. I like to watch the first sunrise of each new year whenever possible, and for the past few I’ve been fortunate enough to do so while seawatching. I arrived at Jones Beach just as daylight was breaking and began trudging down the path to the jetty. Loons, sea ducks, and hundreds of gannets were observed winging their way west, and I spied a few Purple Sandpipers foraging on the rocky shore of the inlet. This winter has seen an impressive invasion of Razorbills in the waters around Long Island, and I enjoyed good views of a few close flocks among the procession of birds moving down the coast. Satisfied with the results of my morning vigil, I started back towards the parking lot, picking up a handful of additional species among the dunes and brushy patches along the path. I slowly traveled east along the south shore of Long Island, hoping to add a new state bird to my New York list. A Thick-billed Murre had been spotted at Shinnecock Inlet a few days prior, and had been reported continuing by eager year listers earlier that morning. I found the bird surprisingly confiding when I arrived at the site. This was a major improvement over my first and last observation of the species in New York: a freshly deceased individual frozen in ice a decade ago. On my way to and from the stakeout, I paused at a few lakes and ponds to boost my numbers of freshwater birds. There were plenty of ducks to go around, and I stumbled upon two lingering Eastern Phoebes at sites in both Nassau and Suffolk Counties. An afternoon walk through the woods ended my Day 1 checklist with a total of 66 species. 2019 was off to a fun start! The early days of this year have proven rather productive for regional rarities. On the 2nd, I stopped by Hendrickson Park to check on the Cackling Goose which has returned to the lake every winter since 2016. The 3rd featured a post-work jaunt to Union Square Park in Manhattan, where I added late-lingering Ovenbird, Common Yellowthroat, and Cape May Warbler to my year list way ahead of schedule. These were all delightful encounters with fine birds, but the grand prize of the first week was a young Golden-crowned Sparrow that I twitched upstate in Downsville. This record is only the 4th documented occurrence of the species in New York, and the only sighting in over 20 years. The bird proved quite accommodating despite some light rain, and I was also able to connect with a flock of Evening Grosbeaks en route towards home. I tried to keep up the hot streak, searching for a Say’s Phoebe in Wallkill that had been seen consistently for the past few days. Unfortunately, the bird was a no-show and the dreary, drizzly conditions worsened throughout the afternoon. Win some, lose some. It was honestly hard to be upset about my 2nd new state bird mere days into 2019. Revisiting Jones Beach on Sunday, I arrived just in time to catch some wandering Red Crossbills that had been reported feeding at a stand of pine trees. I spent the rest of the morning birding with friends, and we managed to turn up a continuing Black-headed Gull and a roosting Saw-whet Owl. After some more year bird cleanup at nearby parks, I returned to the beach for a twilight stroll down the shore. A flock of Snow Buntings and a handsome Snowy Owl were both welcome sights in the fading light of evening. Other noteworthy observations in the following week included a Great Horned Owl in Central Park, a courting pair of Common Ravens at my workplace in Queens, and another Cackling Goose that I discovered while running errands in the neighborhood. On Saturday the 12th, I checked off my 100th species of the new year: Eastern Screech-Owl. Every year, making a trip to Montauk Point on the east end of Long Island is one of my top January priorities. The furthest reaches of Suffolk County offer some fantastic birding opportunities in winter, so I scheduled a Sunday outing to the South Fork. I started off with a sunrise seawatch, highlighted by a few Black-legged Kittiwakes and hundreds more Razorbills streaming past the bluffs. Stops along the road home targeted specific unusual birds of interest. There was an American White Pelican fraternizing with a flock of Mute Swans in Watermill, and a Common Murre had joined the continuing Thick-bill at Shinnecock. All these birds cooperated admirably, and I was also able to visit a popular vulture roost site where Black Vultures have joined their cousins in recent years. The day ended with a wild goose chase, scanning the sod farms in Riverhead where wintering waterfowl congregate. I found a crew of other observers already on site, watching a pair of Greater White-fronted Geese among thousands of Canadas. Within a few minutes of setting up my scope, I located a dapper Barnacle Goose grazing with the flock. I’ve been on the NYSARC grind during my breaks at work this week, filing multiple reports for all of the review list species I’ve observed in the Empire State this year. If the rest of 2019 is as action-packed and fulfilling as the first half of January, it’s going to be a pretty great year! My original idea for this upcoming weekend was to do some birding in the Adirondacks. Visions of new state birds like Pine Grosbeak and Boreal Chickadee, as well as the possibility of finally adding Black-backed Woodpecker to my life list, were ample inspiration to draft up plans for a short adventure during the long weekend. Regrettably, the weather forecasts call for a serious snowstorm which threatens to complicate or cancel these schemes. Whatever happens with the precipitation situation, you can bet that I’ll be out birding somewhere. At this time of year, there’s no shortage of options for “new” experiences and potential surprises. Looking forward to the months ahead, I’ve started giving some thoughts to possible travel plans and personal objectives. I’m not as intense about the concept of “birding resolutions” as some other folks that I know, but I do like to keep track of meaningful achievements and milestones. I’m only a handful of birds away from 800 on my life list, so I will almost certainly reach that goal before the end of December. Since 2016, I have made an effort to see at least 400 species each year, so I am tentatively aiming to repeat this feat once again. That said, the numbers aren’t really my primary focus. I’m just excited for a whole new set of seasonal changes, in-depth observations, checklist proposals, and vagrants still to come. Being a birder means that each year is full of promise and opportunity. I’d be interested to hear some reader responses about the state of birding in 2019. What was your first species of the new year? What are your highlights from the past few weeks? Where are you planning to go, what are you hoping to see, and what long-time nemesis birds are you striving to vanquish? Comment away! Good luck and good birding to you all, and Happy New Year!